More than 250 staff at the former aircraft maintenance arm of collapsed Monarch Airlines face redundancy after the firm called in administrators today. 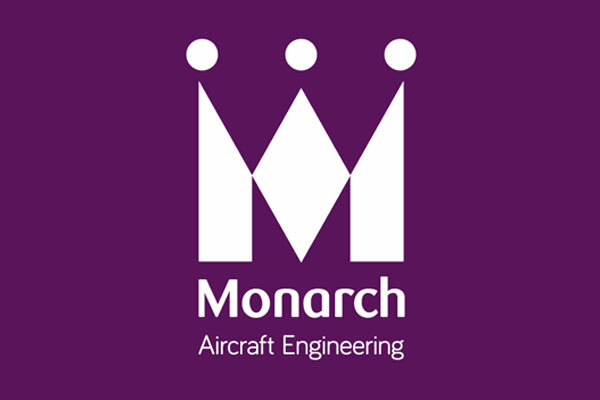 The majority of Monarch Aircraft Engineering Limited staff at Luton are being made redundant while other jobs within the 553-strong workforce have been saved. Joint administrators from the accountancy firm were appointed despite MAEL completing a restructuring in October. This led to a number of customers seeking alternative suppliers. “This presented the business with significant challenges, making it unsustainable in its present form,” KPMG said. MAEL announced last month that it was in talks with potential partners with a view to selling all, or parts of, the business. The company transferred the majority of its line maintenance operations to a number of different parties earlier this week, saving 182 jobs. Its UK line maintenance operations at Gatwick, Birmingham, East Midlands, Newcastle and Glasgow airports have largely transferred to Morson Group, with Luton airport line maintenance operations transferring to Storm Aviation. Certain Gatwick-based employees have also transferred to Boeing. Further operations at Manchester and Birmingham airports, including related employees, were transferred to Flybe following the ending of a maintenance contract in November. The base maintenance business which undertakes aircraft overhaul and major heavy maintenance from hangers in Luton and Birmingham suffered most from the loss of key customers following the October 2018 restructuring. “Unfortunately, with significant losses being incurred on this activity and with no offer having been received, operations will be suspended immediately, resulting in the redundancy of c.250 employees,” KPMG said. *A Continuing Airworthiness Management Organisation, which has 27 employees providing the upkeep of airworthiness records and scheduled maintenance requirements for 33 aircraft across eight customers. *A training academy, which comprises an engineering training school based at Luton with seven employees and an apprenticeship programme with 53 trainees. The administrators are seeking to sell the training school and intend to retain the apprentices for a period while assisting them in finding new apprenticeship placements. The remaining 200 MAEL staff are largely based at Luton. “Regrettably, the majority will be made redundant with 83 employees retained to support the wind down of the business, in addition to those retained in the CAMO and training businesses,” KPMG said. David Pike, restructuring partner at KPMG and joint administrator, said: “Following the administration of other Monarch entities in 2017, MAEL sought to build its customer base to replace the loss of business from the former airline. “Through the insolvency of the airline however, the company inherited significant debts and claims. “Every effort has been made to turnaround the business, including launching a CVA which sought to resolve these legacy debts. “Unfortunately, following the CVA, a number of customers reduced or sought to terminate their relationship with MAEL, further adversely impacting the business. “As a result, MAEL recently entered into talks with a number of potential parties with a view to selling all or parts of the business. While it is pleasing agreements with a number of operators have been secured to ensure continuity of service at the majority of MAEL’s line maintenance stations, with only partial offers forthcoming for the rest of the business, the directors have taken the difficult step to appoint administrators. “We remain hopeful that buyers will be found for the CAMO and training businesses and encourage any interested parties to get in contact.